A good fare to and from Philadelphia. 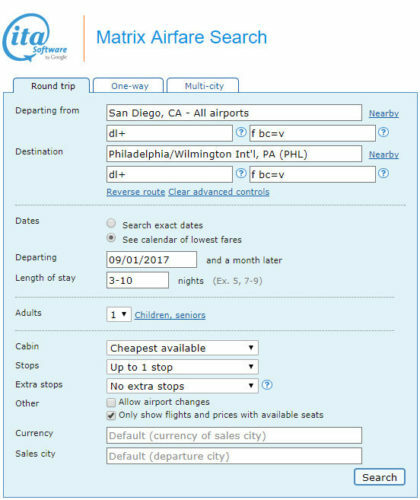 Valid for travel from late-August 2017 – early-December 2017 and from early-January 2018 – early-May 2018. Must purchase at least 21 days in advance of departure. 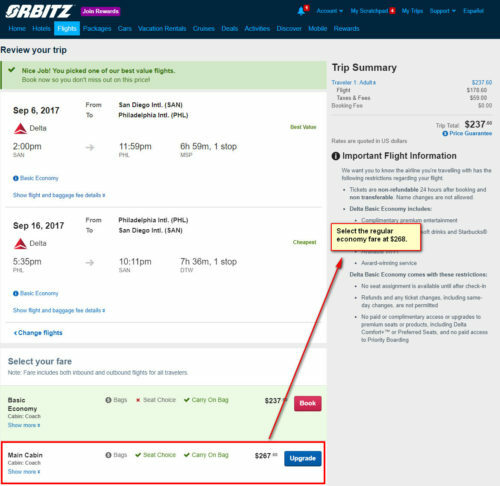 Select the $238 Basic Economy fare, after which you will be presented with the option for the $268 regular economy fare as shown on the screenshot below.